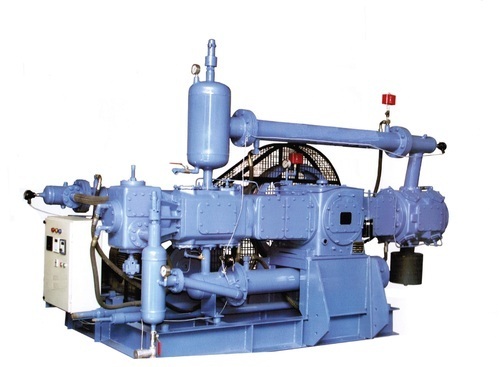 We also supply wide range of Compressor For PET Blowing with the following features. "Priya Enterprises, Navi Mumbai" is a leading and well recognized name as manufacturers, exporters, suppliers and traders of Air & Gas compressors including associated spare parts and components. The range includes Compressor for Oxygen Plant, PET Blowing, Steel Industries, Cement Industries, Paint Industries, Mining Industries. Other than this, the company also offers Industrial Vacuum Pumps and Solar energy based solutions like Street Lights, Photovoltaic Modules, Home Lighting Systems, Water Heaters and Lanterns. Further, it also offers repair and maintenance support for Air Compressors. Established at Mumbai, Maharashtra, India, the company has with it more than a decade of industry experience that allows it to successfully source and supply quality assured products and meets the emerging demands of the market. Its business association with certified and trusted vendors also assures complete product's credibility and quality standards. Other than this, the rich experience gained also allows it to provide support for maintenance and repairing services as and when demanded by the customers. Presently, 'Priya Enterprises, Navi Mumbai' is successfully meeting the emerging demands of industry sectors like Steel industries, Cement industries, Paint industries, Mining industries, Sugar industries, Chemical industries and others. Further, the availability of product solutions in different configurations/model choices as well as their competitive prices has also helped the company to gain support of many reputed clients in the market.